JanSport began to manufacture backpacks, bags and accessories in 1967. This passion for traveling was always shrouded in fun, freedom and adventure. It was these feelings that inspired our three founders to do something different, like a backpack that was not only better but really innovative. This is what truly motivates us. Today, more than forty years later, the adventures we face during this journey continue to guide us and define everything we do. 15.04.2019 в 22:20 New promotion and banners in JanSport - Mochilas, Malas e Acessórios! Red Velvet - A cor do outono. 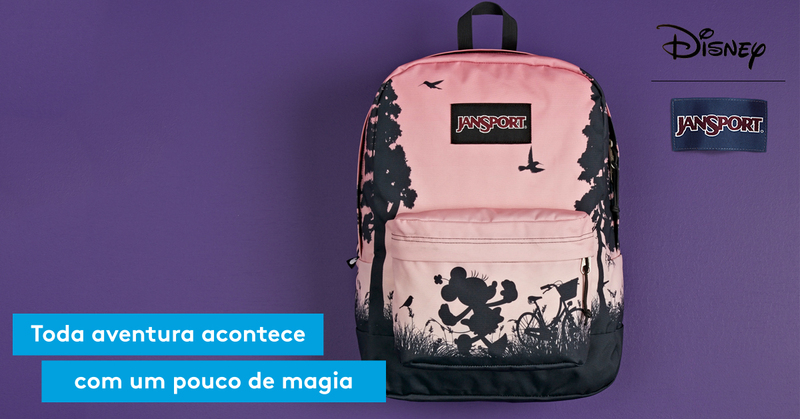 10.04.2019 в 17:29 New coupon, banners and promotions at JanSport - Mochilas, Mala e Acessórios! 26.03.2019 в 17:31 New promotions, banners and coupon in JanSport - Mochilas, malas e acessórios! 18.03.2019 в 22:47 New promotion and banners in JanSport! New promotion and banners in JanSport! Festival Bag - For taking the feet off the floor! 13.03.2019 в 20:05 New promotion, coupon and banners in JanSport - Mochilas, Malas e Acessórios! 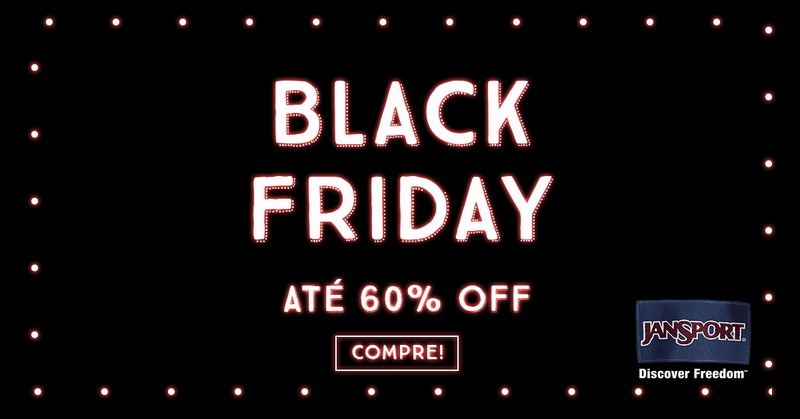 Semana do consumidor - Frete grátis + Lil'Break Disney por R$30 nas compras acima de R$169,90. 07.03.2019 в 20:56 New promotion and banners in JanSport - Mochilas, Malas e Acessórios! Qual a cor do seu verão? 22.02.2019 в 20:45 New promotions and banners at JanSport - Mochilas, malas e acessórios! 18.02.2019 в 21:55 New promotions and banners in JanSport - Mochilas, malas e acessórios! Weekender sua companheira - Leve, versátil e indispensável no seu dia a dia. 11.02.2019 в 16:04 The JanSport's offer is back! The JanSport's offer is back! 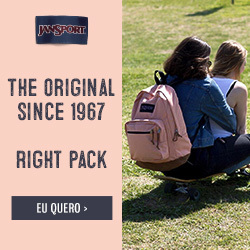 08.02.2019 в 23:16 OFFER PAUSED - Jansports Mochilas, Malas e Acessórios! The Jansport offer was paused at the advertiser's request. 06.02.2019 в 16:33 New coupon and banners in JanSport! New coupon and banners in JanSport! Free Shipping 48h - 06/02 to 07/02! 09.01.2019 в 19:55 New banners in Jansport! 19.12.2018 в 17:30 New banners in Jansport! 12.12.2018 в 21:38 New deals in Jansports! 07.12.2018 в 19:02 New promo and banners in Jansport! New promo and banners in Jansport! 06.12.2018 в 23:04 New deals in Jansports! 04.12.2018 в 20:57 New banners in Jansport! 28.11.2018 в 22:20 New promotion and banners in Jansports! 28.11.2018 в 20:56 New coupon at Jansport! 21.11.2018 в 21:17 Black Friday - New promotion and banners in Jansports! 19.11.2018 в 17:14 New commissions in Jansport! 09.11.2018 в 19:34 New promos and banners in Jansport! New promos and banners in Jansport! 30.10.2018 в 20:33 New promos and banners JanSport! New promos and banners JanSport! 16.10.2018 в 16:44 The offer Jansport - mochilas, malas e acessórios is back! JanSport began to make backpacks, bags and accessories in 1967. This passion for traveling was always shrouded in fun, freedom and adventure. It was these feelings that inspired our three founders to do something different, like a backpack that was not only better but really innovative. This is what really motivates us. 26.06.2018 в 22:14 New promotion in Jansports! 22.06.2018 в 22:20 New promos and banners in Jansport! 18.06.2018 в 18:22 New banners in Jansport! 14.06.2018 в 17:38 New banners in Jansport! 29.05.2018 в 18:11 New banners in Jansport! 25.05.2018 в 18:47 Increase in commission on Jansport! The Jansport offer commission increased to 6.9% by 31/05. 04.05.2018 в 18:47 New banners in Jansports! 27.04.2018 в 23:31 New promotion and banners in Jansport! 25.04.2018 в 20:55 New promotion and banners in Jansport! 05.04.2018 в 20:11 New banners in Jansport! 02.04.2018 в 21:57 New banners Jansports! 21.03.2018 в 21:23 New promotion and banners in Jansport! 19.02.2018 в 21:58 New banners in Jansport! 29.01.2018 в 21:13 New promotion and banners in Jansport! Back to school with varied colors and prints. 24.11.2017 в 04:09 New promos and banners in Jansport! 10.10.2017 в 23:31 New banners in Jansport! 07.07.2017 в 21:48 New promos, coupon and banners in Jansport! New promos, coupon and banners in Jansport! 23.06.2017 в 21:08 New banners in Jansport!